Late last year, the Insurance Institute for Highway Safety (IIHS) conducted a series of tests to evaluate front end collision systems in current vehicles. The results of these tests were disappointing. Of the 74 models that were tested, 25 vehicle models received just a basic rating while 36 other models had systems that did not meet the criteria set by the institute or the National Highway Traffic Safety Administration. 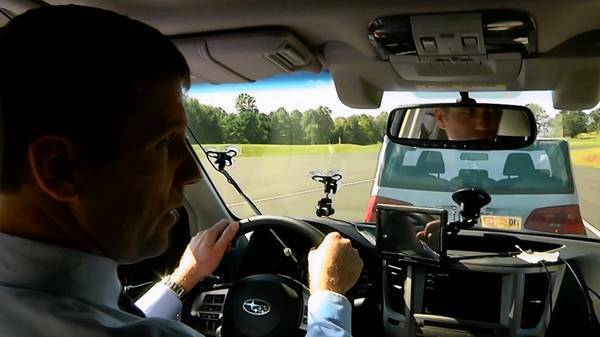 This week, though, the IIHS held a new series of tests. This time, redemption was in the air, and there was a considerable amount of improvement. Of the 24 vehicles tested, 21 received either the highest rating of Superior or a medium grade of Advanced. Why the rapid turn around? Well, it can be contributed to companies focusing on two key categories: forward collision warning and front crash mitigation or prevention with autobrake. Uhmmm… What exactly is that again? Forward collision warning alerts a driver when the system detects that the vehicle is about to crash into the vehicle in front. Oftentimes, this monitoring is done through either radar or a series of cameras that scan the road as the vehicle’s computer calculates the closing rate. Autobrake systems are typically paired with forward collision warnings. Autobrake systems can slow down or completely stop the car to avoid some front-to-rear crashes if its driver doesn’t brake or steer out of the way in response to a warning. This entry was posted in Culture and tagged 2015 Hyundai Genesis, Autobrake, BMW 5 Series, BMW X5, Forward collision warning, Front End Collisions, IIHS, Insurance Institute for Highway Safety, Mercedes-Benz E-Class, National Highway Traffic Safety Administration. Bookmark the permalink.